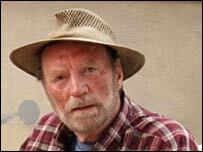 Actor Pat Roach, who starred in Auf Wiedersehen Pet, has died from cancer aged 67, his family has announced. The British star played Bomber in the popular drama, which recently screened its fourth series set in Havana, Cuba. Roach was a wrestler and featured in movies including three Indiana Jones films, and Bond film Never Say Never Again, but was best known as Bomber. He died during the early hours on Saturday, biographer and family friend Shirley Thompson said. Tributes to the Birmingham-born star began to flood in on Saturday. After his battle with cancer was first revealed in January Roach's declining health meant he was unable to take part in the latest instalment of Auf Wiedersehen, Pet, currently being filmed in Thailand. BBC producers had intended to work the filming around him, but Roach never got the chance. Roach starred alongside Timothy Spall, Kevin Whately, Jimmy Nail and Tim Healy in the hit show. Laura Mackie, BBC Head of Drama Serials, said: "Pat made a fantastic contribution to Auf Wiedersehen, Pet over the years and he created a much loved character in the gentle giant, Bomber. Franc Roddam, creator and executive producer of the show said the news would be a "huge blow" for everyone involved in the production. "Pat was a wonderful, wise and gentle man much loved by all the series' other actors and we're all devastated by his death. "This really is Auf Wiedersehen, Pat." From Thailand the cast and crew said: "We are completely heartbroken and our hearts and condolences go out to Pat's family." After first appearing in the Stanley Kubrick film Barry Lyndon, the 6ft 4ins wrestler went on to gain parts in many blockbuster movies. He played a different role in each of the Indiana Jones film and was often cast as the screen villain. Roach also appeared in, among others, Never Say Never Again, Willow, Conan The Destroyer and Robin Hood: Prince of Thieves.